When it comes to stretching your ears, the tools that you choose can be just as important as the method that you use to stretch your ears. 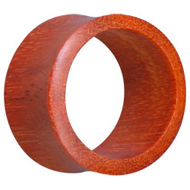 In this post I will outline the different types of ear stretchers available and their pros and cons. As with anything relating to ear stretching, everyone is different. These are simply my recommendations, based on my own experience and that of others. Whatever you decide to stretch your ears with, be sure to do your research and choose the stretching tools that you feel will work best for your ears and your needs. There are many different types of jewellery that you can stretch your ears with, but most people use either straight tapers or crescent-shaped tapers. A taper is idea for ear stretching because it increases in size gradually, allowing you to slide it through the piercing at a pace that suits you. I recommend using a straight stretching taper, as they tend to be less bulky than crescents and can be easier to handle. I do not recommend simply pushing a plug through your ear, as this is very forceful and likely to result in a tear or blow out. Once you have reached your desired gauge, remove the taper and insert an unflared flesh plug. You should not wear a taper as jewellery, as it can encourage one side of the stretching to become larger than the other. It can also catch on clothing and is not usually comfortable for sleeping. 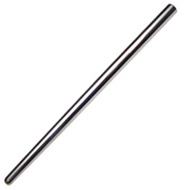 Stretching tapers are available in a huge range of materials, the most common being surgical steel, acrylic and plastic. I recommend using surgical steel, as it is the most biocompatible and least irritating of these materials. Steel tapers should have a very smooth surface. This means that they will slide smoothly through the ear without dragging on the skin or harbouring germs. This kind of smoothness is not possible with an acrylic taper and as a result many people find that acrylic tapers irritate their ears. Steel tapers are sometimes referred to as “stretching pins” or “stretching nails” – as long as they are straight and taper towards your desired gauge, they are the same as “stretching tapers”. This entry was posted in Body Piercing Education, How To Stretch Piercings, Stretched Piercings and tagged Ear Stretcher, Ear Stretchers, Ear Stretching, Ear Stretching Guide 101, Ear Stretching Jewellery, How To Stretch Your Ears, Stretching Jewellery, Stretching Tapers on October 2, 2013 by Piercing Guru. Will Stretched Ears Go Back To Normal? As with any body modification, it is important to know how permanent the changes you are making to your body will be. Many people wonder is their stretched ears will go back to normal, and it is an important question to answer before you begin ear stretching. Unfortunately the most honest answer is not particularly helpful: it varies from person to person and there is no guarantee that your stretched ears will go back to normal. The truth is that most stretched ears will shrink at least a little if you remove your jewellery, but most will not go back to their unstretched gauge. 10mm is often cited as the point of no return, but the fact is that everyone is different. Some people stretch to 6mm and find that their ears will not go back to normal, while others go far beyond that and their ears still close back up. My advice is to think of stretching as a semi-permanent procedure and only stretch to a size that you would be willing to live with permanently. If you want to close your stretched ears, there are a few things that you can do to encourage the shrinking process. Firstly, remove your jewellery and clean the ear thoroughly. Then massage daily with a natural oil such as jojoba oil, extra virgin olive oil or almond oil. This will soften the skin, increase blood flow to the area and encourage healing. Then it is just a case of waiting to see how much your stretched ears will close up on their own. While your ears will not close up completely, they may reach a smaller gauge that you are happier with. For example if your ears shrink to under 6mm and you wear solid plugs in them, they will be much less noticeable than your previous gauge. If your ears do not close up on their own, surgery is the only guaranteed way to get them back to their former size and shape. Ear lobe reconstruction surgery can give good results but is usually expensive. I would always recommend giving your ears the chance to close naturally before going down that road. This entry was posted in Body Piercing Education, How To Stretch Piercings, Stretched Piercings and tagged Ear Stretching, Ear Stretching Guide 101, How To Care For Body Piercings, How To Stretch Your Ears, Piercing Accessories on September 18, 2013 by Piercing Guru. How Big Can I Stretch My Ears? When you start stretching your ears, one of the first things people want to know is “how big? ?” Some people start out with an idea of how big they want to go, while other just want to go as big as they can. 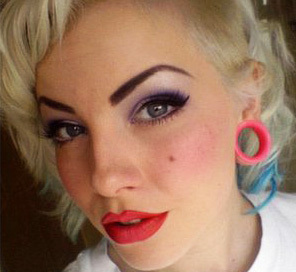 The truth is that if you really want to, you can stretch your ears pretty damn big! 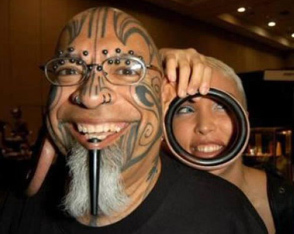 The gentleman on the right is Bear Belmares, who is believed to hold the world record for the biggest stretched ears. As you can see, his lobes are massive! Obviously that’s extreme, but it goes to show that anything is possible. Some people’s ears are bigger than others, but with ear stretching the important factor is your ear lobes, not the rest of the ear. There is a huge variation in the size and shape of people’s ear lobes, which can really affect the stretching process. Bigger ear lobes usually mean a potentially larger stretching capability. Also important is whether your ear lobes are attached or unattached. As the image shows, unattached – or “free” – lobes have a more pendulous shape. They make it easier to stretch as there is more flesh in the actual ear lobe itself. Attached ear lobes are still capable of stretching to large gauges, but it may take more time and effort. Our skin is naturally elastic and can stretch a great deal, but skin elasticity can vary and is largely down to genetics. If your skin is more elastic, you will find ear stretching easier and be able to stretch your ears to a larger gauge. This is the main reason why some people find ear stretching very easy, while others struggle. You won’t know how elastic your skin is until you begin to stretch your ears, so all you can do is stretch gradually and listen to your body. If you are planning to stretch your ears, the ideal piercing placement is in the absolute centre of your ear lobe. This is because it means that you have an equal amount of flesh on all sides of the piercing. Most people had their ears pierced before they knew they wanted to stretch, but if you did not I suggest telling your piercer so that they can give you the best placement for ear stretching. They may also suggest getting pierced at a slightly larger gauge than normal. 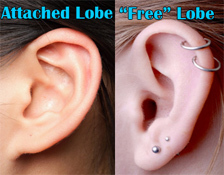 If you have two piercings in one lobe, you can also choose to stretch the second piercing. In this picture, both piercings have been stretched and the second is smaller. This is the most common arrangement. It is important to know that second piercings will not stretch as much, even if you do not stretch the first piercing. 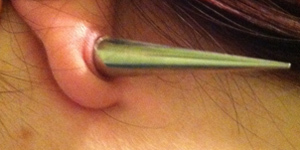 This entry was posted in Body Piercing Education, How To Stretch Piercings, Stretched Piercings and tagged Ear Stretching, Ear Stretching Guide 101, How To Stretch Your Ears, Stretched Ear, Stretched Ear Piercing, Stretched Ears on September 10, 2013 by Piercing Guru. Welcome to the Body Jewellery Shop Ear Stretching Guide 101! This series of posts will discuss the different methods, jewellery, styles and risks of ear stretching, as well as showing you how to stretch your ears in a safe and healthy way. Ear stretching is an ancient art practiced by many different cultures with a long history. It is a fascinating area of body modification and one that actually changes the shape of your body – it’s easy to see why it was and is so popular. It is relatively easy to do and can have a big impact on the way you look, but conversely there are plenty of ways to stretch your ears incorrectly, leading to some of the common risks of ear stretching. Fortunately most of the pitfalls can be remedied with a little information and simply taking care to work with your body. Ear stretching is a huge subject and everyone has their own opinions about how it should be done, but I hope to give you all the information to make your own decisions about how to stretch your ears. We’ll be talking about some of the common questions and misconceptions that people have about ear stretching, how to deal with ear stretching risks and even how to hide your stretchings at work. I would love to hear your thoughts on ear stretching, so if you have a question about ear stretching or there is something that you want to know more about, let us know! This entry was posted in Body Piercing Education, Ear Piercings, How To Stretch Piercings, Stretched Piercings and tagged Ear Stretching, Ear Stretching Guide 101, How To Stretch Your Ears, Stretched Ear, Stretched Ear Piercing, Stretched Ears on September 3, 2013 by Piercing Guru. Make the most of your piercings by always keeping them safe and looking great. Choose from a wide variety of essential body piercing tools like our flesh plugs, measuring tools, stretching crescents, bioplast tools and a range of saline solutions. 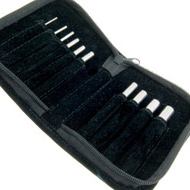 You will love these fabulous aftercare tools which heal your new piercings and will help you get your dream look. Never have to worry about irritation, and difficult healing because our easy to use essential body piercing tools will prevent future infections and uncomfortable swelling. Make sure you get your hands on some of this fantastic Easypiercing Physiological Salt Solution perfect for cleaning fresh piercings and help speed up the healing process. 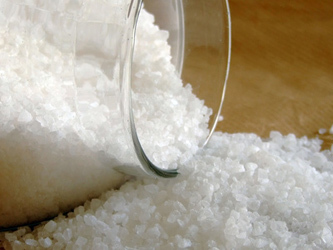 This fantastic salt solution will look after your piercing for approximately two months as well as moisturise the skin around your wound. With a handy nozzle fitted on the top of the can, you can spray this solution evenly. This will allow it to release the amount necessary for one application and stop you from using it quickly. Everyone will love this easy to use, affordable and soothing spray for all their new piercings. It is advised to use this solution between 2 to 3 times a day so that your piercing doesn’t dry out. Light up your look with this eye-catching UV pink stripe stretching taper which will update your evening and daytime looks. The UV-reactive PMMA pink and black striped acrylic taper will look amazing fitted in all your ear piercings. This will fix in place easily with the easy to use black rings either side. Get comfort and style all in one with this glossy accessory which will stretch your piercings gradually and uplift your style. 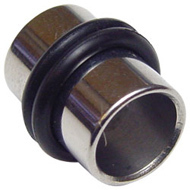 These are available in gauges from 3.2mm to 8mm to help you get your ideal look this year. Glow at all your parties, gatherings, concerts and festivals with this glamorous stretching taper perfect for almost any occasion and outfit. This entry was posted in Body Piercing Aftercare, Body Piercing Tools, How To Stretch Piercings and tagged Body Jewellery, Ear Stretch, Ear Stretcher, Ear Stretchers, Ear Stretching, Ear Stretching Jewellery, Jewellery Tool, Large Gauge Stretched Piercings, Large Gauge Stretching Jewellery, Stretched, Stretched Ear, Stretched Ears, Stretching, Stretching Jewellery, Stretching Tapers, Tools on September 6, 2011 by Piercing Guru. 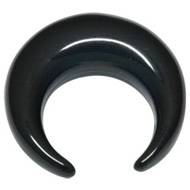 There are many different options for stretching your ears and crescent ear stretchers are a great choice. 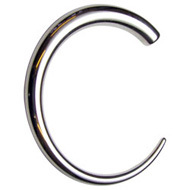 Crescent ear stretchers are crescent shaped pieces of jewellery that you can use to stretch your ear piercings. They are thickest in the middle and allow you to gradually insert the stretcher until the middle part is comfortably in your piercing. There are many different shapes of ear stretchers so it is really down to personal preference which shape you use. I stretched my ears to 12mm and 14mm using a combination of crescent and straight ear stretchers. Personally I found the crescents more comfortable to wear while my ear healed, but everyone is different. You can find crescent ear stretchers in a wide choice of materials but the most popular are surgical steel, acrylic and buffalo horn. All are excellent materials for stretching with and it is really a question of which material your skin reacts best to. Steel can be a little heavier but this is only noticeable once you get to large gauges. You may need a pair of O-rings to keep your crescent in place – most crescents come with O-rings but check before you buy. This entry was posted in Ear Piercings, How To Stretch Piercings, Stretched Piercings, Stretching Jewellery and tagged 00ga Stretching, Ear Stretcher, Ear Stretchers, Ear Stretching, Ear Stretching Jewellery, Stretching, Stretching Jewellery on January 20, 2011 by Piercing Guru.